University Office Technologies will give a new MFP to the winner of its competition, and drop their old device from a crane. The office products dealer, based in Ann Arbor, Michigan, announced its "Motor City Copier Crush" competition will take place on 22 April. Administrative professionals from the local area can enter the competition to win a new Sharp Multi-Functional Printer, and the winner will get to keep the new device and have an unwanted copier or printer dropped from a 60-foot crane. 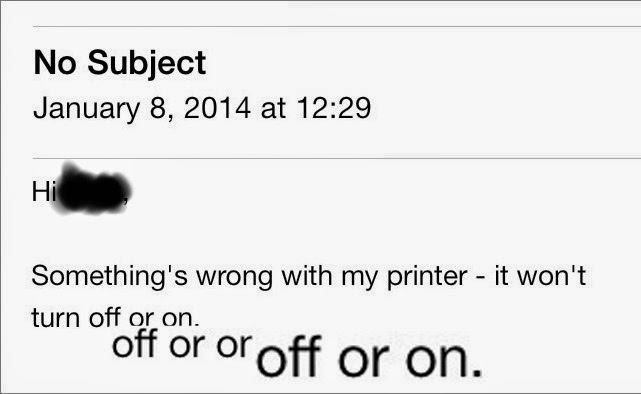 The "most compelling submission" as to why someone's printer "deserves to be replaced with a brand new one" will win the competition. University Office Technologies is offering to install the new machine, train users in how to use it and provide a service plan as well. The crane drop meanwhile will take place in the company's own car park, where the winner will watch as their old machine drops into a waste container from a locally rented crane. The event is related to Administrative Professionals' Day, or "Secretary's' Day", which also falls on 22 April. Admin professionals need to submit their entry to the company before 17 April. The winner will be chosen and notified by 20 April, with the "copier drop" and installation of the new Sharp machine taking place on 22 April. Any admin professional working in the Michigan counties of Wayne, Macomb, Monroe, Oakland, Washtenaw or Livingston in a business with 10 to 100 staff can enter the competition, and you can read more about the competition here. 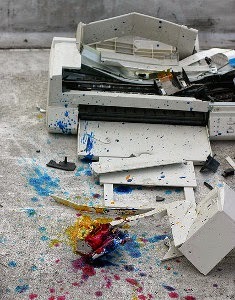 Nevertheless when you run out of printing supplies, visit www.priceless-inkjet.com to resupply! The alliance between Pitney Bowes and HP extends their integrated delivery portfolio. PI World reported that HP will be able to work with Pitney Bowes' innovations such as the IntelliJet Printing System, which is used by printers and mailers to streamline operations. The integrated system they together provide is designed to reduce management complexity for clients juggling multiple providers. The partnership began in 2009. Lila Snyder, Pitney Bowes' President of Document Messaging Technologies said: "Linking print and mail through the Pitney Bowes White Paper Factory delivers real value by creating impactful communications. The Pitney Bowes Intellijet family of printing systems, as well as the Print+ Messenger color inkjet system employ HP inkjet hardware with Pitney Bowes technology to produce high quality, high impact communications." "This longstanding relationship with our valued partner HP shows our joint commitment to our enterprise clients in offering innovative solutions that integrate physical and digital technologies. Through these solutions, our clients have achieved efficiencies by streamlining print and mail workflow to better reach the end customer." HP's VP and General Manager of Inkjet, Aurelio Maruggi, commented: "Pitney Bowes' expertise in the production mail market enables them to provide unique value to customers looking to diversify their offerings and meet the evolving demands of high-volume, high-integrity print and mail operations. As such, HP is excited to continue our alliance to best serve the transactional market." 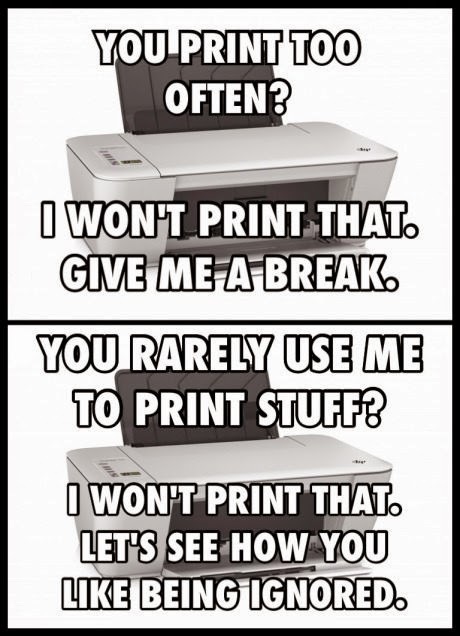 Either way, you still need printer supplies! Just visit Priceless Ink & Toner Co. and get the printer supplies you need! Use discount code "SocialPIC" on check out and get 10% off all compatible / remanufactured printer supplies and 5% off all OEM printer supplies. The new range of printers are the "smallest and fastest LaserJets" released, with HP stating that the launch "represents our most significant laser printing re-engineering since the introduction of the first LaserJet in 1984". The machines, "designed to make businesses more efficient", contain new toner cartridges using JetIntelligence technology, and use "up to 53% less energy, take up to 40% less space and wake up, print and duplex in a fraction of the time", according to HP. The new machines include the Color LaserJet Pro M252 series, MFP M277 series, and the M552 and M553 series, with all the devices featuring a "smaller footprint, easier set-up and installation" and "up to 40% faster printing from sleep". The M252 series is around 33% smaller than competitors, and is aimed at "small workgroups", with the "fastest first page out in its class" alongside mobile printing compatibility. The MFP M277 series meanwhile is the "smallest laser MFP" and offers "the fastest two-sided printing in its class", while the M552 and M553 series are "ideal for larger workgroups of 5 to 15 users printing up to 6,000 pages per month", with high speed prints, the "lowest total energy consumption and fastest double-sided printing speeds in their class". These two are also the firs machines to include Google Cloud Print 2.0 for cloud printing. The toner cartridges feature "the latest in toner formulation", with HP's JetIntelligence technology and ColorSphere 3 toner offering up to "33% more professional-quality prints" and "protection against counterfeits" with "innovative anti-fraud technology". The ColorSphere 3 toner is "the latest in toner formulation", according to HP, and features a "durable shell and soft core" designed to "keep up" with the high-speed of the machines. Despite the "more durable shell", the soft core of the toner particles melt 'at a much lower temperature, requiring far less heat to melt", with the result "higher page yields from a more compact and energy-efficient printer". The cartridge meanwhile delivers "more pages with fewer interventions", with page maximizer technology allowing for "less internal wear" and "more pages per cartridge", while new print gauge technology "intelligently predicts toner levels". The anti-counterfeiting technology is "built into every JetIntelligence toner cartridge", with HP stating that customers "have more protection that easily identifies counterfeit cartridges", and assisting "customer-initiated anti-theft and office-wide printing policies". Auto-seal removal meanwhile is said to "make cartridge installation easier than ever". The JetAdvantage Private Print function meanwhile allows users to protect print jobs in the cloud and on the machines. Tuan Tran, Vice President and General Manager of HP's LaserJet Hardware and Technology Organisation, commented: "Business customers are looking for smart, affordable solutions that seamlessly integrate into today's smaller, more communal work spaces. We started with the customer and designed the new LaserJet platform from the inside out to be leaner, faster and smarter than ever before to help meet the demands of the modern office." The printers will be available from 1 April, with the M252 at a recommended price of $225, the MFP M277 of $346, and the M552 and M553 of $560. Network Asia reported on the release of the new printers, which include the WF-2651, 2661 and 2631, with the OEM stating that the devices are "purpose-built" for the SOHO and office markets to "save business's desktop space and lower their printing costs" through "a host of convenience-enhancing features". The "ultra-compact" printers include an automatic document feeder with a 30-sheet capacity, Epson Connect features for mobile printing – including iPrint for mobile printing, email print and remote print – "flexible shared printing" through wireless connectivity, and Wi-Fi Direct functionality for connecting up to four devices "without the need for a router". Each printer can also access Apple's AirPrint and Google's Cloud Print, and has an LCD screen, while the 2651 and 2661 have Epson’s PrecisionCore printhead technology for "versatile, high-speed" prints at 33 ppm. The 2631 has a print resolution of 5,760 dpi and a print speed of 34 ppm and a "small footprint", while the 2661 has NFC (near-field communication) functionality, making it the "first Epson device to offer this functionality", and all three utilize the OEM's DURABrite Ultra pigment inks, which offer "high quality prints that are smudge, fade and water resistant". Visit our web store for high quality Epson printer supplies.